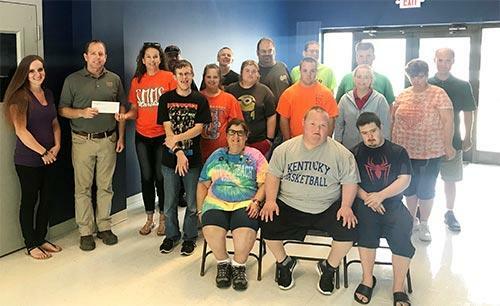 The Benton Wood Products team and ISCO Cares donated $10,000 to the Marshall County Exceptional Center. We are proud to support great organizations like this in our communities. MCEC's mission is to provide people with intellectual and developmental disabilities with opportunities to lead full and meaningful lives through training, support, and loving concern.